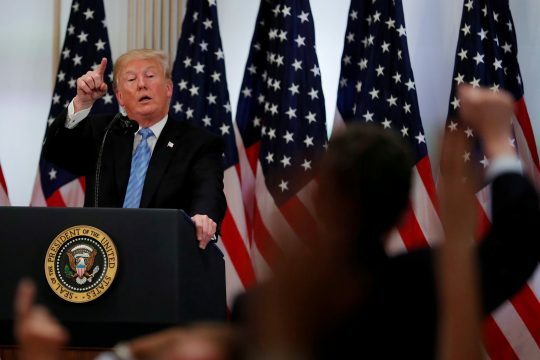 WASHINGTON (Reuters) – Donald Trump on Monday praised Canada's entry into a reworked NAFTA pact with the United States and Mexico after the two countries forged a last-minute agreement to salvage the trilateral trade accord, delivering a key win for the U.S. president. This entry was posted in Politics and tagged President Trump, Trade. Bookmark the permalink.